Made from Fukumori’s special blend of 100% domestically grown wheat, including Haru Yo Koi wheat from Hokkaido, Fukumori’s thick noodles are flavorful and chewy, with the flavor of the wheat becoming more noticeable with every bite. We use only the center of the wheat to achieve a perfect golden color with minimal discoloration and husks (outer coating). 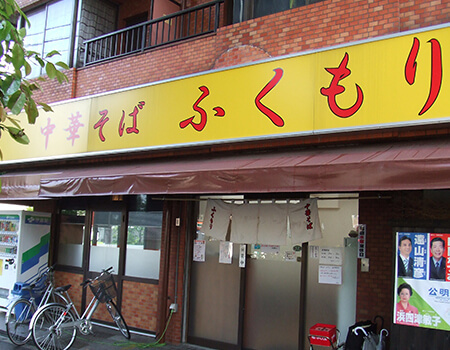 Fukumori is one of the only ramen shops in Tokyo with traditional seating on floor cushions in a tatami matted room . This also makes it easy to set up tables for groups of all sizes.